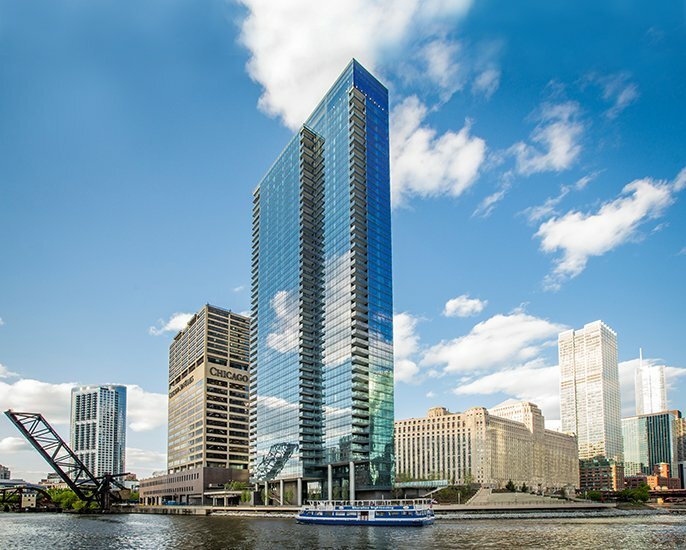 Wolf Point West is one of three planned towers in River North’s premier Wolf Point Development located along the Chicago River where its three branches converge. The building features luxury studio, one, two and three bedroom apartments located a short walk from Chicago’s loop central business district. The building includes a state-of-the-art top floor fitness center and game room and an indoor-outdoor dog lounge for year-round resident conveniences. Resident can also enjoy a top floor outdoor terrace with fire pits, business center, bike wash & resident bike storage, sauna / steam area, lounge, media room, fitness room, social and spa pool, pool deck with grilling stations and fire pit and a roof deck.